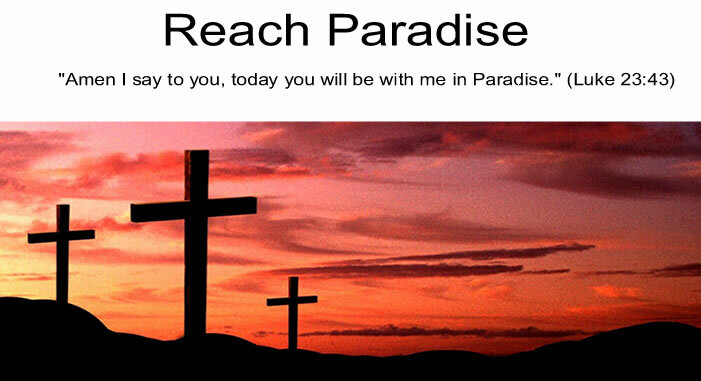 Reach Paradise: What is Truth? "What is truth? ", Pilate asks Jesus. This line has always bothered me as it's just left out there with no answer. Was he mocking Jesus? Or really looking for an answer? Did Jesus respond? Did Pilate just walk away after asking it? Was it rhetorical? And why did John feel compelled to include that line in his Gospel? Personally, I always assumed it was part rhetorical/part mocking. Just like I always assumed Pilate wrote Jesus of Nazareth, King of the Jews on the sign above our Lord purely to mock the High Priests. But this Triduum, I wondered if the two weren't related. What if Pilate really was seeking the truth? What if during that short window of time, Pilate realized that the Truth was Christ? And that He was not only the King of the Jews, but the King of Kings? A long shot, perhaps. But one can hope. Here's hoping this Easter brings more people closer to Jesus - the Way, the Truth, and the Life. 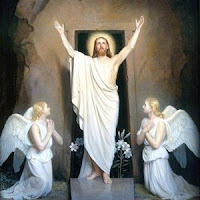 And special prayers for those that have left the church ... may the Risen Christ bring them back for good. A very Happy and Blessed Easter to you and your families. We all remember that Pilate's wife had a dream about Jesus and she warned Pilate about Him. Perhaps, secretly, Pilate believed in Jesus. He knew who Christ was. But he was caught in a catch 22 situation. He could not release Him for fear of the Jews and Ceasar himself. Surely he would have been sent back to Rome in disgrace and probably banished or killed. So he chose the easy way out - washing his hands. Let's hope God was more merciful and did not wash His hands off Pilate's fate. Happy & Blessed Easter to you and yours, Michael. Good food for thought. That exchange has always grabbed me too. God bless and a happy Easter. Interesting questions Michael. I had always thought Pilate may have been frustrated and wanting to know the truth. The anger of the high priests and crowd didn't seem warranted to this man who didn't try and defend himself or argue or reason his way out of the situation. Happy and a Blessed Easter to you too Michael! I hope you and your family are enjoying a wonderful and truly blessed Easter! A Happy and Blessed Easter to you Michael! Have a wonderful week! You always generate such thought. Thank you and God bless.